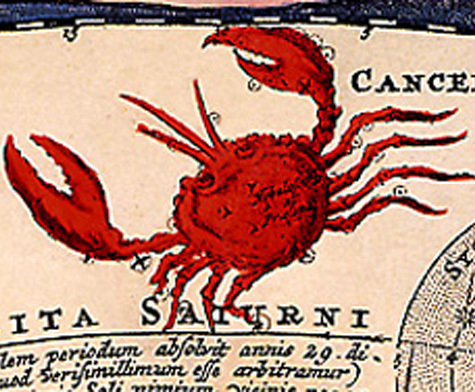 Eloquent Mercury moves into Cancer from today, which might help us better express our feelings. You may feel a shift in the air as expressive Mercury moves into Cancer and your domestic sector, which can allow you to connect with your feelings more easily. 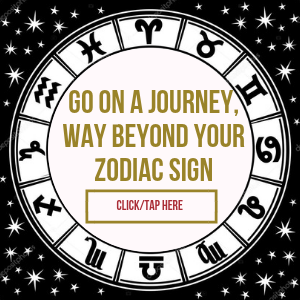 As this lively planet also links with the electric vibe of Uranus, flashes of insight may come out of the blue and could be valuable in helping you to gain an understanding or find solutions to family issues that need answers. As the planet of communication moves into your sector of talk and thought, so convivial Venus, your ruler, prepares to leave and move into your home zone tomorrow. Over coming weeks, you may be drawn to connect with family members or old friends, and perhaps to meet up for a reunion. Places that hold fond memories can be equally inspiring and see you revisiting them. As Mercury, your guide, heads out of your sign and into Cancer and your money zone, this can be an opportunity to look at your spending habits and perhaps to streamline your budget. However, decisions may not be based so much on logic, but can be linked to more instinctual feelings. You could find it more difficult to give up those items that feed your deeper needs. A desire to dip into your creative well and bring up ideas that shimmer with promise can grow stronger. As eloquent Mercury enters your sign, so you may feel an urge to discuss your plans and perhaps find a way to make them a reality. However, as this lively planet also links with innovative Uranus, be open to others' input, as a fresh slant could make all the difference Cancer. Although the Sun continues to enliven your social zone, encouraging you out and about, a planetary shift might connect you with your emotions, especially those that may be at a deeper level. This could kick-start a process of discovery that leads to resolving a personal or relationship issue. You may feel moved to talk to someone and to reach a deeper understanding. You may sense a shift in the air today, as Mercury your personal planet, moves into Cancer and your social sector. Whatever progress you have made with a personal goal or ambition can be furthered by linking up socially with those who share your aspirations. At the same time, with lively Uranus in the mix, someone may have a suggestion that hints at a bold new opportunity. With the Moon in your sector of far horizons connecting with fiery Mars in your creative sector Libra, your instincts may be guiding you to explore possibilities that can be very exciting for you. This could link to artistic ideas or crafts from around the world, and could be the perfect channel for a skill or talent you have. Indeed, your horoscope hints this could be the start of an enjoyable hobby. As inquisitive Mercury heads into your sector of travel and adventure, thoughts of relaxing in a beautiful place could see you planning a mini break or vacation. You may be drawn to visit somewhere that has special meaning for you, and that can fulfill a deeper emotional need. On some level you may seek understanding or even closure, and this might do it for you Scorpio. An upbeat conversation could touch you and might encourage you to explore the possibilities in an idea or opportunity. It might also be a chance to break the ice and connect with someone with whom you would like to be better acquainted. While this can be a time of gathering information and making new connections, a deeper pulse can also encourage healing discussions. The coming weeks can be an opportunity for teamwork, and for partnering with others to complete something that you may not be able to manage alone. As upbeat Mercury moves into your sector of relating, this can also be a good time for negotiation and for smoothing over any disagreements. On a financial note, a sparkling aspect hints that extra cash may come your way. You may already be responding to tomorrow's New Moon in your sector of leisure and creativity, especially if you feel moved to explore a new hobby or other enterprising activity. The days ahead can bring pleasing developments in this regard that may bear fruit over the coming months. In addition, a desire to change your routines could see you becoming more productive. The coming weeks can be a great opportunity for showcasing your creative work where possible. With an inquisitive and lively focus on your leisure sector, this can be a good time for exploring new ways to make the most of your skills and abilities. 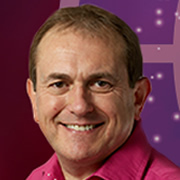 At the same time, romance may also be on the astral cards. Indeed, taking a short break with a partner could rekindle hidden passions.